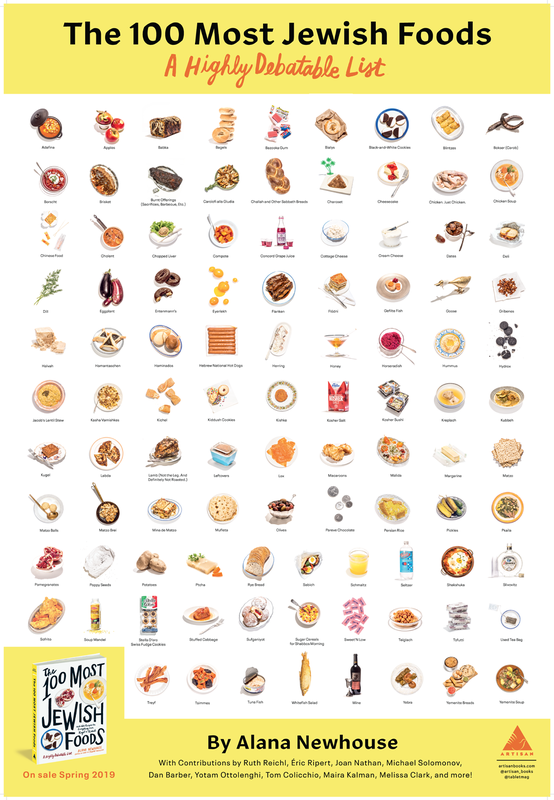 Alana Newhouse's new bestseller, 100 Most Jewish Foods, recounts the most significant foods for the Jewish people through essays, lists, and recipes. We hope Alana's exclusive borscht recipe reminds you of your own family or a Jewish loved one! Make this sour, tasty soup your own this spring—maybe the recipe will make an appearance on your Seder table or become a warm weather staple. Excerpted from The 100 Most Jewish Foods by Alana Newhouse (Artisan Books). Copyright © 2019. Heat the olive oil in a medium saucepan over medium heat. Add the onion and a pinch of salt and stir to coat with the oil. Add the bay leaf, cover the saucepan, and cook until the onion is translucent, 3 to 4 minutes. Add the garlic, stir to combine, cover, and cook until softened, about 2 minutes. Add the carrot and a pinch of salt and stir to combine. Reduce the heat to low, cover, and cook, stirring occasionally, until the carrot starts to soften, 7 to 9 minutes—do not let the vegetables brown. Add 1 tablespoon (15 milliliters) of the water if the pan gets too dry. Add the beets, ½ teaspoon salt, 2 tablespoons (30 milliliters) water, and the pepper to the saucepan and stir to combine. Cook, stirring occasionally, until the beets start to soften, 10 to 15 minutes. Add the broth, increase the heat to high, and bring the broth to a boil. Add the cabbage, bring to a boil, then reduce the heat to medium-low, cover the pan with the lid ajar, and simmer until the cabbage has softened completely, 20 to 25 minutes. Add the vinegar. Taste and adjust the seasonings, adding salt, pepper, and/or more vinegar if needed. 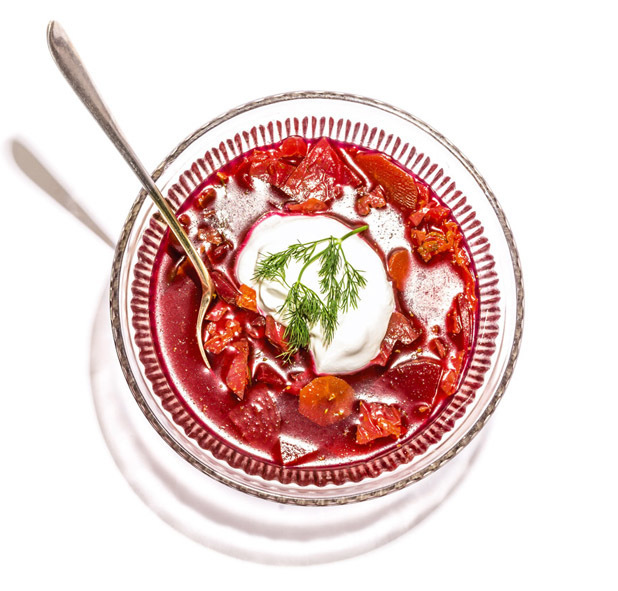 Ladle the hot soup into bowls, top with a spoonful of sour cream, and garnish with a sprig of fresh dill. The soup will keep in an airtight container in the refrigerator for up to 1 week. For more delicious recipes like this one, pick up a copy of the book, below!